Dave Guilford is retired. He was formerly the Managing Editor of Automotive News Canada and a News Editor for Automotive News.. 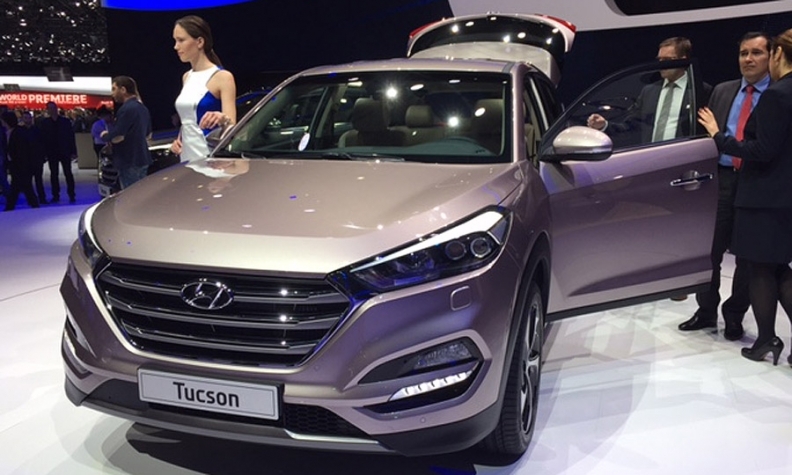 Hoping to appeal to American tastes, Hyundai designers pushed to increase the revamped Tucson's wheelbase, add a more upright grille and front end, and pushed the crossover's A pillars back. Dave Guilford is a news editor at Automotive News. GENEVA -- So how do you design a crossover with a name evoking the old West -- that cowboy, cactus, rugged desert terrain ethos? With a strong sense of the uniqueness of U.S. driving and lifestyles, says Thomas Burkle, chief designer for Hyundai Motor Europe. Burkle’s team redid the look of Hyundai’s Tucson in “very intensive cooperation” with design teams in California and Korea, he says. The result is a bolder design that fits the U.S., Burkle says: “For me, when I’m in America you can breathe. There’s space. There’s big roads. There’s fantastic nature. There’s sun. With that open spaces, big sky perspective, the Hyundai team pushed to increase the wheelbase, add a more upright grille and front end, and pushed the A-pillar back. 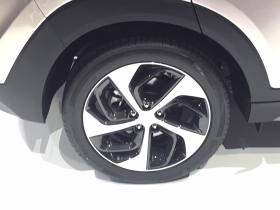 The Tucson’s wheel wells slant forward, in an effort to convey motion. The taillights are pushed to the outside, making for a wider look. The Tucson will go on sale in the U.S. this autumn with a 1.6 liter direct injected gasoline engine as a base powerplant. Pricing has not been released. It’s another step in Hyundai’s quest to establish itself as more than a value-for-money brand. The Tucson will go on sale in the U.S. this autumn with a 1.6-liter direct-injected gasoline engine as base powerplant. Its price has not been announced.